Where is your getaway to quiet your mind for this weekend? 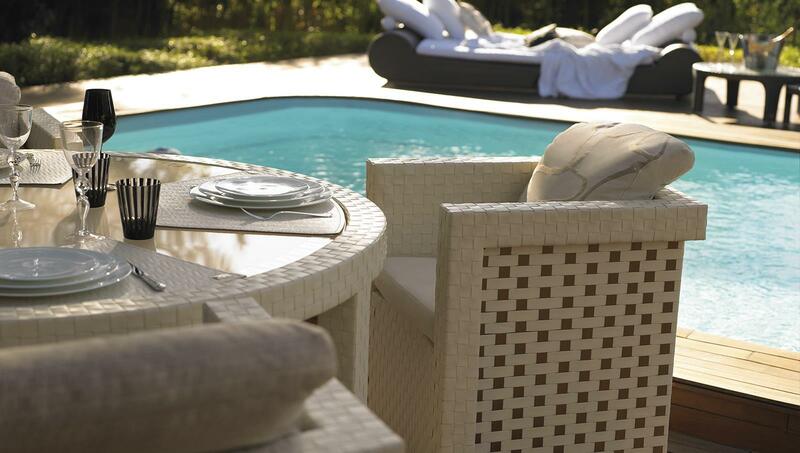 Using indoor-quality outdoor furnishings . Mix colors,patterns and textiles to make it fun. Set up a group of blue-and-white chinoiserie vases for floral arrangement. Have comfortable chairs or couches. 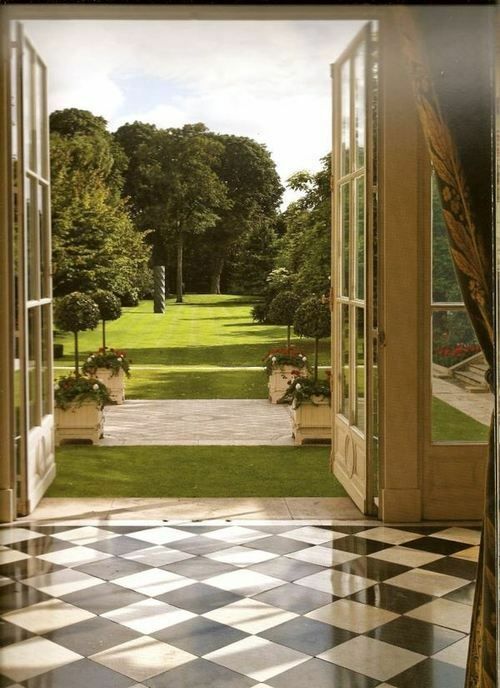 I am obsessed with outdoor living. The first thing I get up in the morning is to step out of the house and take a walk in my backyard garden—lemon trees, rose bushes, morning breeze, bird singing, soft sunshine… It’s a beautiful and spiritual start for my day. When I sit in the house working and look out of the window, it’s all greenery. That really makes me more focus, creative and productive. Today is Sunday. 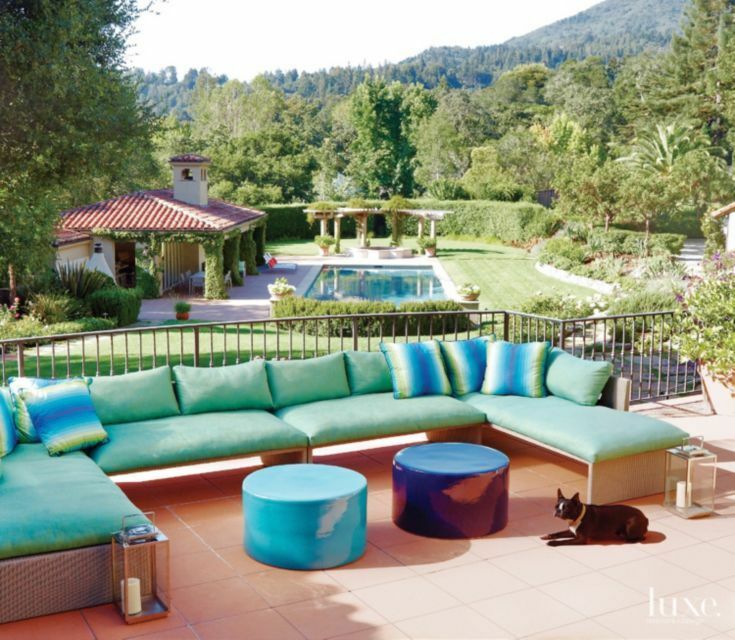 I was inspired to put together 9 fabulous outdoor living spaces with different designs to share with you. Enjoy! Love this effortless indoor-outdoor connection. It makes you feel great! Geometry contrasts with art to create such a neat feeling. 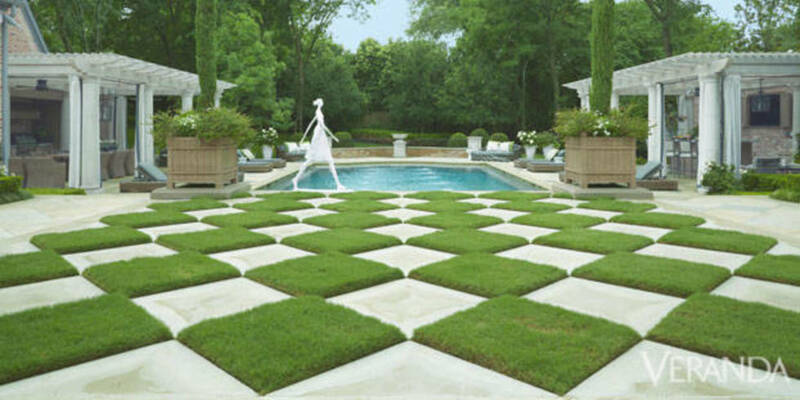 It’s a grand design and awesome for hosting big events if you have a big courtyard and a lot of friends. Love the pale blue fabric on the daybed. The whole setting is relaxing yet very elegant. Where else would you want to be? 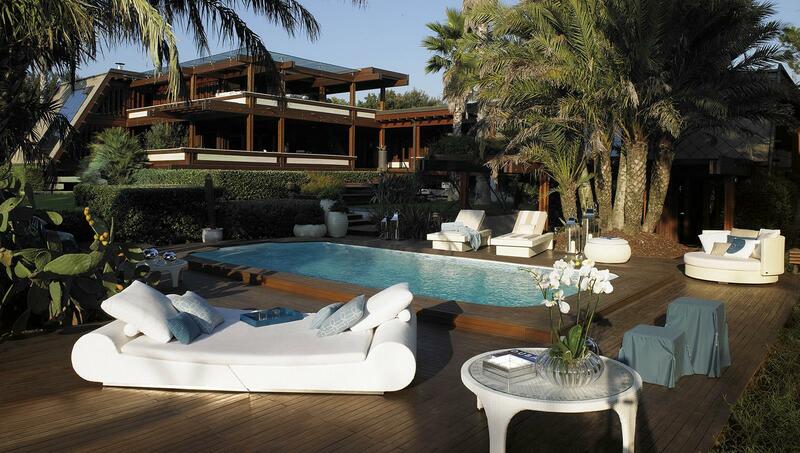 A pool house that shows you what outdoor luxury can be. 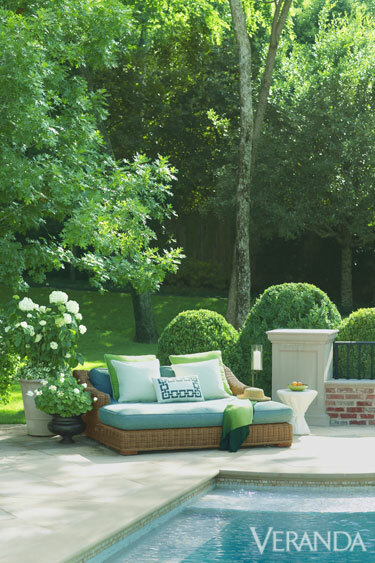 A cute chair—that is what you need for whatever outdoor living spaces you have. A modern seating area with a great view. 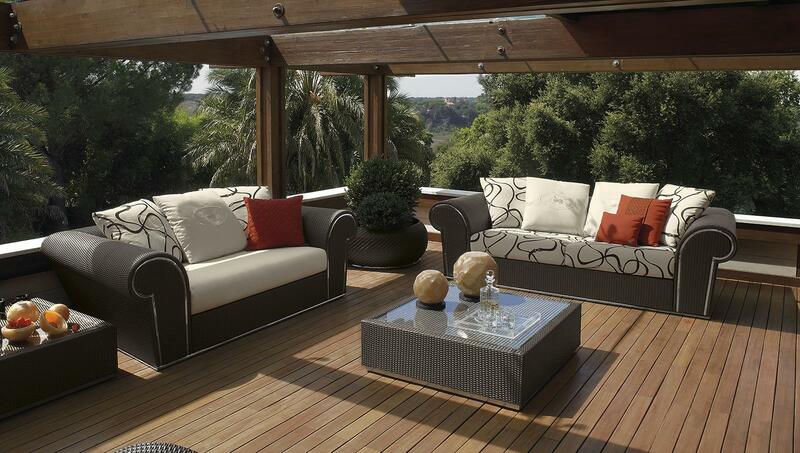 Quality outdoor furnishings are the key. 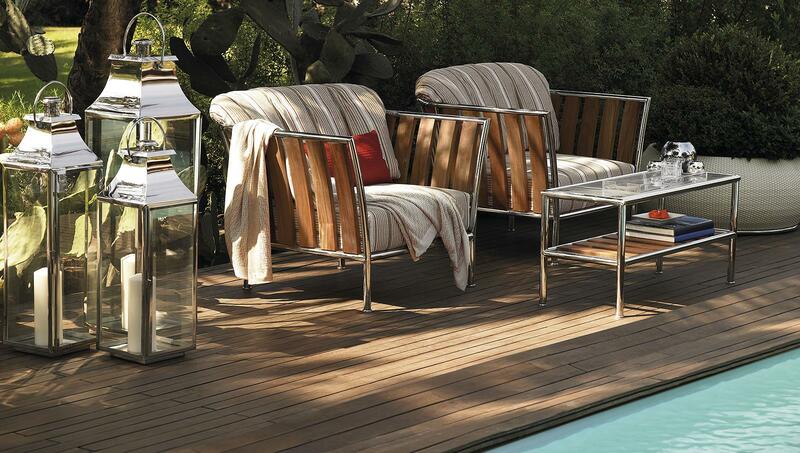 Have these flexible outdoor furniture pieces. Therefore, you can move them around once a while. 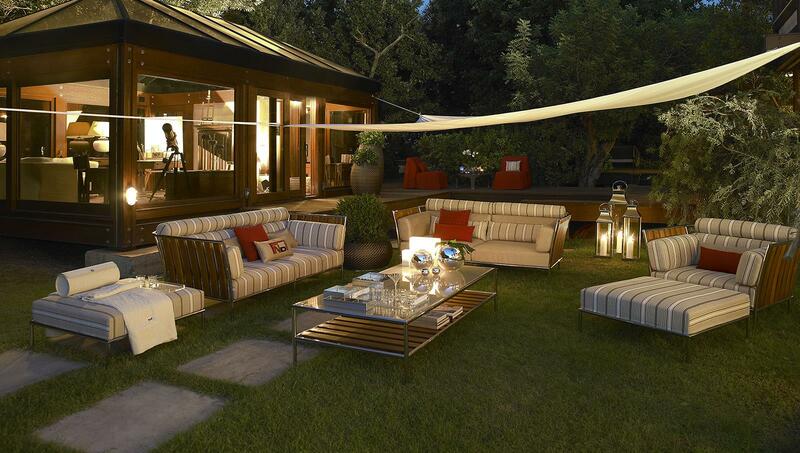 A outdoor space with the indoor luxury. If you are a cottage lover, this one will be for you. 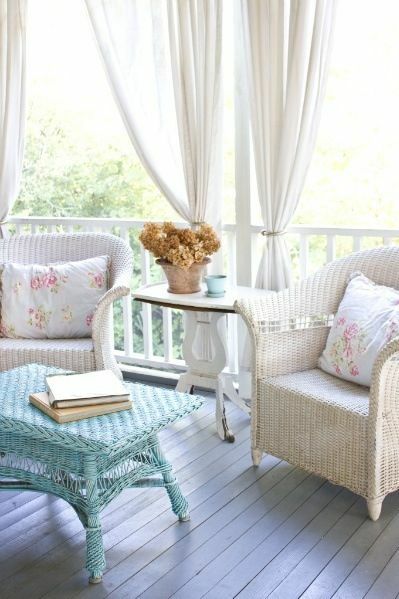 Love the draperies and pastel colors. It’s a truly genius idea to have a sushi bar like this at your backyard. What do you think? I hope these fab designs will make your Sunday more beautiful!